Veikko Nokkala thrives on improving ways of working and implement DevOps culture and operational model. He has a wide range of experience in different areas of business and IT working as an entrepreneur, project manager, coach, consultant, and trainer. Currently counting 16 different IT certifications, he has proven his knowledge in various areas related to the entire IT services lifecycle. This vast knowledge gives him a holistic view on DevOps and he feels strongly about DASA DevOps competence model and qualification program and its possibilities to help organizations improve their ways of working. The end goal for him is to help organizations deliver high quality and valuable IT services efficiently with entire IT lifecycle in mind. 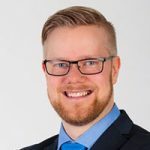 In addition to working as a DASA Ambassador in Nordics, he works at Digia where he is helping Digia and Digia’s customers to excel in delivering IT services.